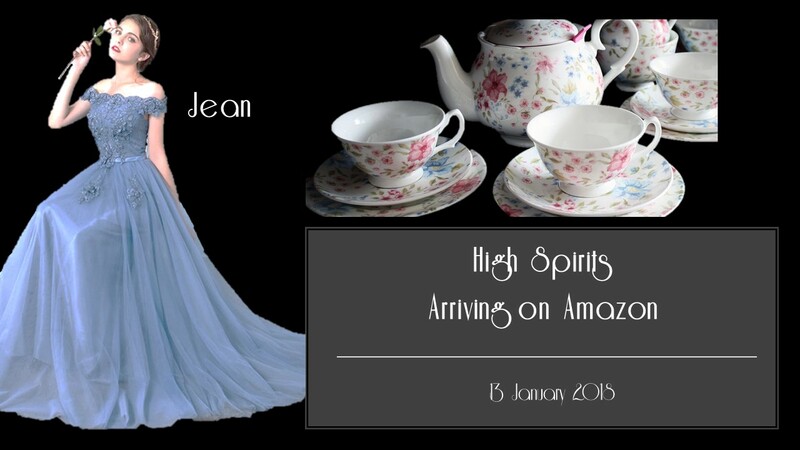 So, what’s HIGH SPIRITS all about? 1944 – ALEC EDWARDS’ world was opened up when he fell in love with JEAN FRANCIS. From the quiet confines of his orderly museum where everything was catalogued, labelled and recorded, he had been propelled into the chaotic realms of romantic attachment. This was during the Second World War, a time of air raids, bombings and rationing. Then the ‘worst’ happened. Alec and Jean were in the museum after hours when the air raid sirens went. Alec, ever the vigilant curator, was loathed to leave his precious collections out of its case and vulnerable and insisted on finishing the job. Jean is less than impressed and a dispute ensued and just as she is in the middle of delivering a right royal ear bashing when the bomb lands…..
It’s 70 something years since the bomb fell and the museum is staging an anniversary exhibition. Part of the original bomb, which caused extensive damage to a wing of the museum is going on display, alongside objects relating to the life and work of Alec. BETHAN ANDREWS is at her wit's end. As the curator of the museum she is leading on the exhibition but there is one small problem – Alec’s life was dedicated to the curation and collection of objects and little is known in the museum about him personally. The museum’s board of trustees has insisted on the anniversary being recognized so in desperation she puts out a public plea for help via the local paper. PATRICK HARMAN, Alec’s great-great nephew, responds. In the meantime, the local rag has pricked up its ears. Alerted by Bethan’s call for help, a reporter has unearthed a long forgotten tale of ghostly lights and apparitions in the museum; of dead curators seeking their lost treasure. This led to the wealthy but totally batty BASTIAN HEDGES, the producer of the global phenomenon The Ghost Doctor ©, to bribe the Trustees with a big fat cheque, in return for filming his Midsummer Special in the museum. Patrick arrives with his grandfather, POP, a cantankerous old man, at the museum with memorabilia. Much to Bethan’s horror, she realizes that she and Patrick have crossed paths before as students, in particular at the Student Summer Ball, when Bethan threw her principles to the wind and had a drunken night of passion with Patrick. She is relieved when he appears not to recall her at all. However, she shouldn’t relax. He is just being a gentleman and not letting on! For him, rather than being a blur of alcohol and regret, he rather liked her but then the cold light of day dawn and Bethan was in denial. Now they are thrown back together. What none of them could realise is…the ghost stories are true; the curator does haunt the museum. The day the bomb dropped, it did more than just damage the wing, it killed Alec and Jean and they’ve spent the past 70 years watching the world go by aided and abetted by a much older ghost, that of POL, an eleven-year-old girl from the Iron Age. The stage is now set for some ghostly intervention and for love to conquer all. Meet Jean Francis Born, lived and died in Plimpton Market, a town set in the rolling South Downs. The story begins during the war with the prologue to set the scene as to how Alec and Jean met and fell in love before their untimely demise. It then moves onto the present day and picks up on the characters that work in the museum – Bethan, Patrick, Sal, Billy, and Seth. Unbeknown to them, their every move is being observed by three very mischievous ghosts. Jean loves life. She’s only 21 and had a job as a secretary in the law firm of Clipper, Clipper and Boughton. She likes to go to the Roxy on a Saturday night and dance, although it’s not what it was before the war! She enjoys putting on a special dress and doing her hair for a night out. She’s from one of the prominent families in Plimpton Market, although they have been somewhat snubbed due to a scandal decades before. She doesn’t take to dying very easily (well, who does?) and feels lost and out of place in the museum – which by her own admission, she’d never stepped foot in prior to her courtship with Alec. It’s taken Jean some time to adjust to eternity especially as Alec revels in being in his beloved museum 24/7. Her transition has been helped by the presence of Pol and gradually she began to view the museum as her home into which she welcomed visitors –even if those visitors couldn’t see her. She often wonders about her relationship with Alec and whether she would have managed his proclivities if they’d lived. Sometimes, she wishes she could move on. What are her personal relationships like and how do they shape her character? Her relationship with Alec came as a surprise to her friends and was frowned upon by her family who hoped that one of the daughters would marry into one of the still socially respectable families and thus restore their own reputation by association. Alec really wasn’t the type that one would image Jean being attached to but there you go – love is blind! Seventy-something years have not dulled her love of Alec but revealing herself to Bethan opens her world up far more than if she had lived and given her something to hold onto. Which classic movie is best?